Sifu Richard Mieir-King has been involved in Kung-Fu since the 1970's (July, 1971) and currently teaches 5 Animal and 5 Family style Kung-Fu, as taught to him by Professor Gilbert Bates, in the City of Lakewood, California as well as classes in T'ai Chi Ch'uan and Chi Kung. Sifu Mieir-King conducts seminars and workshops on subjects including Kung-Fu, Self-Defense, Weapons, etc (contact us for details). Sifu Mieir-King began his martial arts instruction in the early 1970's and his instructor is Professor Gilbert Bates, a Master under Grandmaster Wong Ark Yuey of the 5 Animal and 5 Family System. Professor Gilbert Bates holds a doctorate in oriental philosophy and was also a student of other Masters such as the late Dr. Fenia Woo and Mai Lu Chiang. Sifu Richard Mieir-King was inducted into the World Martial Arts Hall of Fame in 1996 and also received the Kung-Fu Master Instructors Award. In 1996 Sifu Richard Mieir-King was also awarded the title of Professor of Martial Arts in a ceremony in Palm Springs. is listed in the "Who's Who in the Martial Arts". Received Certificate of Special Congressional Recognition for outstanding and invaluable service to the community (click here to see certificate). Received Certificate of Special Recognition for outstanding and invaluable service to the community from California State Assembly (click here to see certificate). Has instructed civilians and members of border patrol, military, law enforcement, prison guards and more. Conducts the yearly Fighting Masters Martial Arts Expo and Gathering where martial artists of various styles share their knowledge - Fighting Masters website. 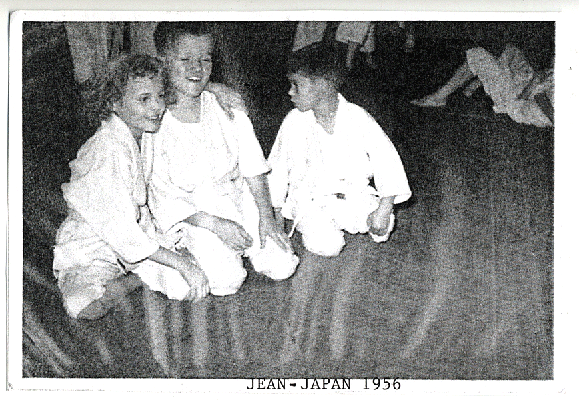 Sifu Jean began her study in the martial arts in 1957 when her parents, who were in the Air Force, relocated to Japan for six years. During that time she was enrolled in Judo classes by her mother and achieved the rank of Brown Belt. In the early 1970's she began studying Southern Sil Lum 5 Animal 5 Family Kung-Fu at Bates Kung-Fu Studio in Southern California instructed by Professor & Mrs. Bates. Professor Gilbert Bates was a student of Ark Yuey Wong as well as Dr. Fenia Woo and Mai Lu Chiang. During this time, Sifu Jean participated in numerous demonstrations and exhibitions that were held at the Bates Studios, throughout Southern California. In the early 1980's Jean continued her study of 5 Animal 5 Family Style with Sifu Richard Mieir-King of King's Inner Path Kung Fu in Lakewood, CA (www.KingsKungFu.com). (also a student of Professor Gilbert Bates) and has continued her studies with Sifu Mieir-King to this present date, achieving her Black Sash in 1987. Sifu Jean also received a certificate of recognition from the NABBHOF as acknowledgment of her being an Instructor/Sifu on October 2001. Sifu Jean West not only participates in classes taught by Sifu Richard Mieir-King, but also serves as an instructor. 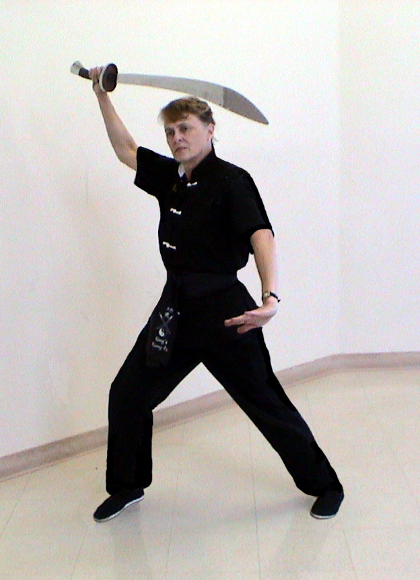 She also participates in demonstrations and seminars held by Sifu Mieir-King's Kung Fu School and assists in arranging and organizing demonstrations and events in Southern California. She also helps in teaching extension classes in Catalina and elsewhere. 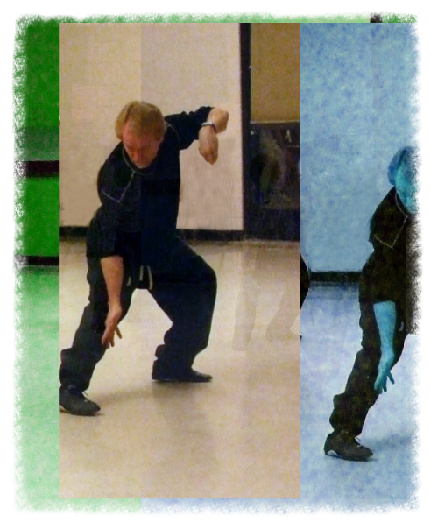 Sifu Jean feels that Kung-Fu means hard work and so hard work is what you must put into it. If you only give 10 percent, then that is all you can expect back. If you want more from it, you must give more to it. It's all up to you. According to Sifu Mieir-King, "Sifu Jean is an excellent assistant and when I leave the class to her I know that the class and students are in good hands and that they will receive a top notch workout and class!" We conduct private classes and semi-private classes. We also conduct group classes on Monday, Tuesday, Wednesday and Thursday evenings in both Kung-Fu and T'ai Chi Ch'uan and Qi Gong. For more information contact us at the phone number and/or the E-Mail address listed below. We have intermediate sized classes, our goal is to work with students individually (below are photos of some of our students showing approximate class size). For more specific information click on the links on classes below.